A week ago we planted Lincoln Peas and after only three days they are out of the dirt. At five days they are this big. 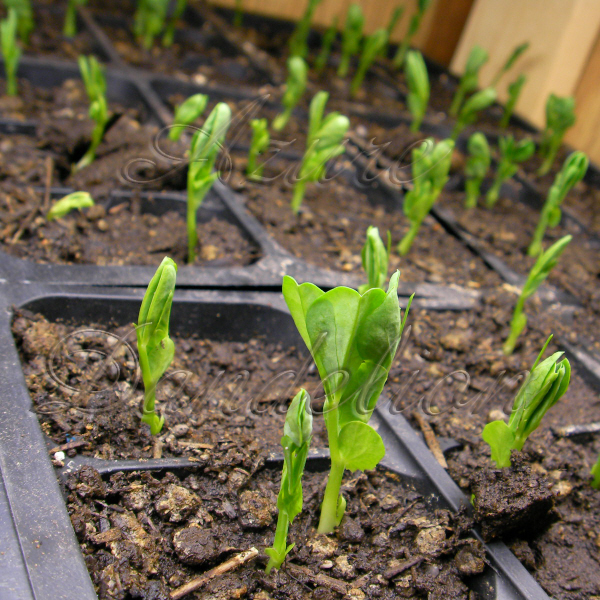 Peas can be direct sown in the garden. We only started these indoors, in flats, because the rains made it impossible to work an area suitable for their awesomeness. 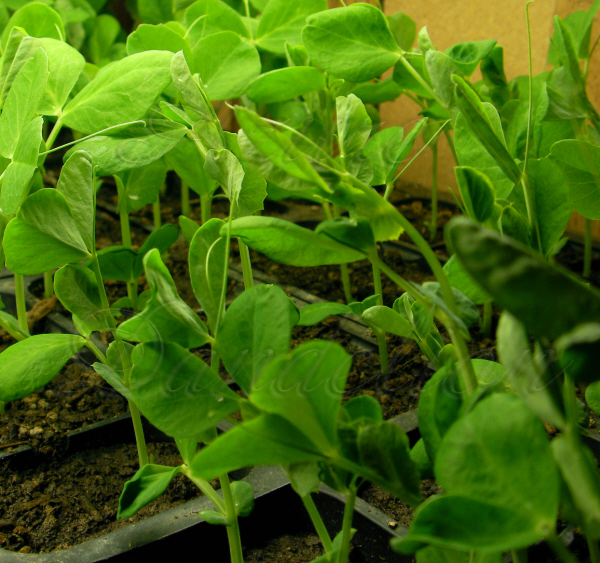 Grow your own Lincoln Peas with heirloom seeds from azure dandelion.